Our bus trundled out of Reykjavik’s BSI Main Terminal and onto the arrow-straight highway; briefly accelerating up to fourth gear before settling down into what must have been one of the most economical driving speeds imaginable. Despite Route 41’s 80kph speed limit our driver was clearly reluctant to take the engine beyond what would be considered slow even in a built-up suburban neighborhood with school crossings and play parks. Perhaps this was due to the demographic of passengers he had on-board, the average age most likely higher than the speed limit. If OAP bus passes were accepted we would have been the only passengers required to actually purchase tickets. Aside from my family I can’t imagine there being a full set of dentures in the house, but as my brother grimaced at the snails’ pace of our journey these gummy octogenarians seemed more than content in letting the gorgeous Icelandic scenery roll slowly past the windows. The wheels on the bus went round and round in slow-motion until we eventually made it to the world-famous Blue Lagoon, the most visited attraction in Iceland. 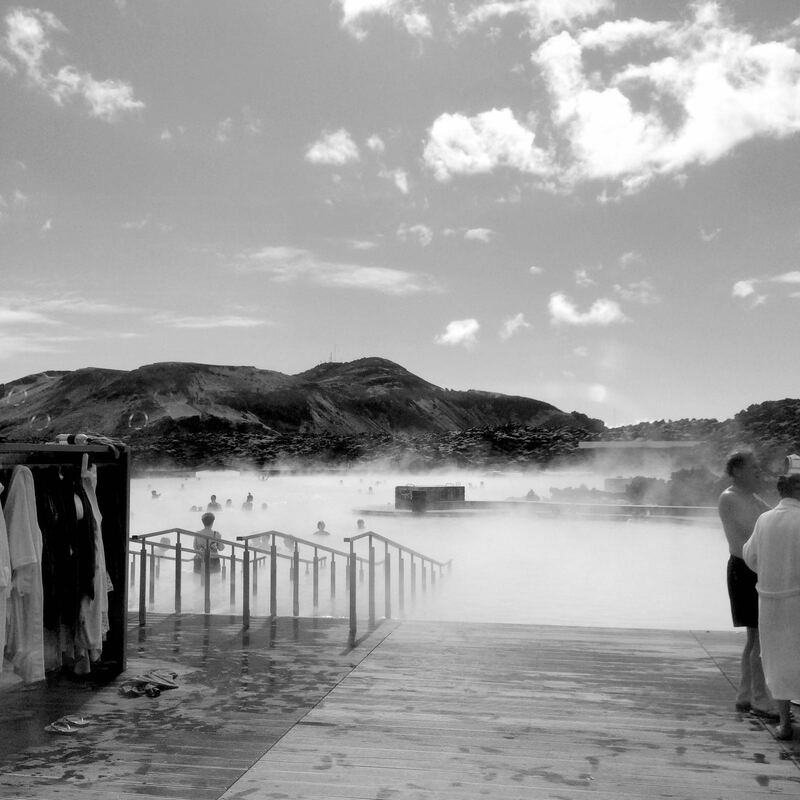 Located in a lava field in Grindavik, 40km north-east of the capital, this geothermal spa is an open-aired swimming area with a natural temperature of 38oC. The water is rich in minerals such as silica and sulphur, giving it a milky colour, and has been proven to help alieve skin conditions and other ailments. All of the staff members behind the welcome desk looked like they had been showering in this fountain of youth since birth, and their perfect complexions were very accommodating towards the throngs of tourists piling in by the bus load. 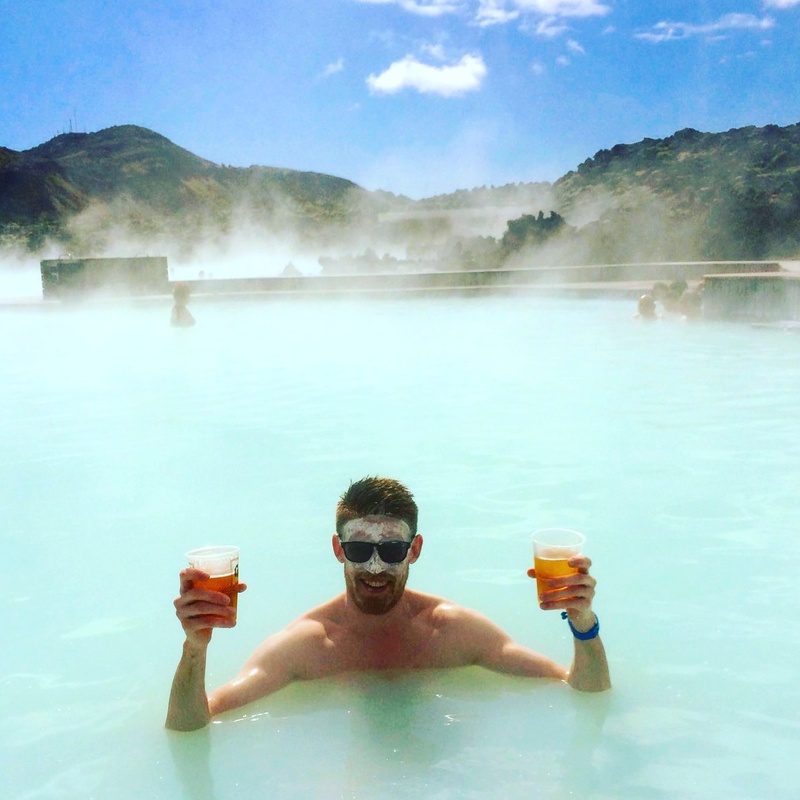 One can actually visit the blue lagoon on a 5 hour trans-Atlantic layover and not even have to spend a night in the world’s most northerly capital. At this heckle one of the changing room security guards went marching up to the door and, in a complete contrast to the eloquently spoken Adonis who had served us at the welcome desk, greeted her with some of the most broad Glaswegian I’ve ever heard. There I was in an Icelandic spa, half-naked, and bearing witness to a conversation between two accents more used to haggling with one another in an East End Scottish flea market or chanting at one another during a football game. I turned to the Europeans who were still beside me, sensing a large amount of confusion swirling in the air. It was as if their spa mud-masks had hardened and frozen the looks of disbelief on their faces. “Ah it’s a grand clothing store for all intensive purposes,” reasoned Neil with absolutely zero shame. I went for an obligatory pre-lagoon shower and, whilst conditioning my hair, tears of laughter mixed with the soapy water as it rolled down into the drain below. The Europeans had no idea how golden the banter being thrown about was and I felt a little sorry for them. The lagoon itself was as warm and relaxing as everyone had told me, and I was able to unwind with a few pints of beer from the swim-up bar under a cloudless blue sky. This was then followed by a sauna and mud-mask treatment of my own before drying off and heading for some sushi in the overlooking restaurant to top off a couple of hours of sheer bliss. 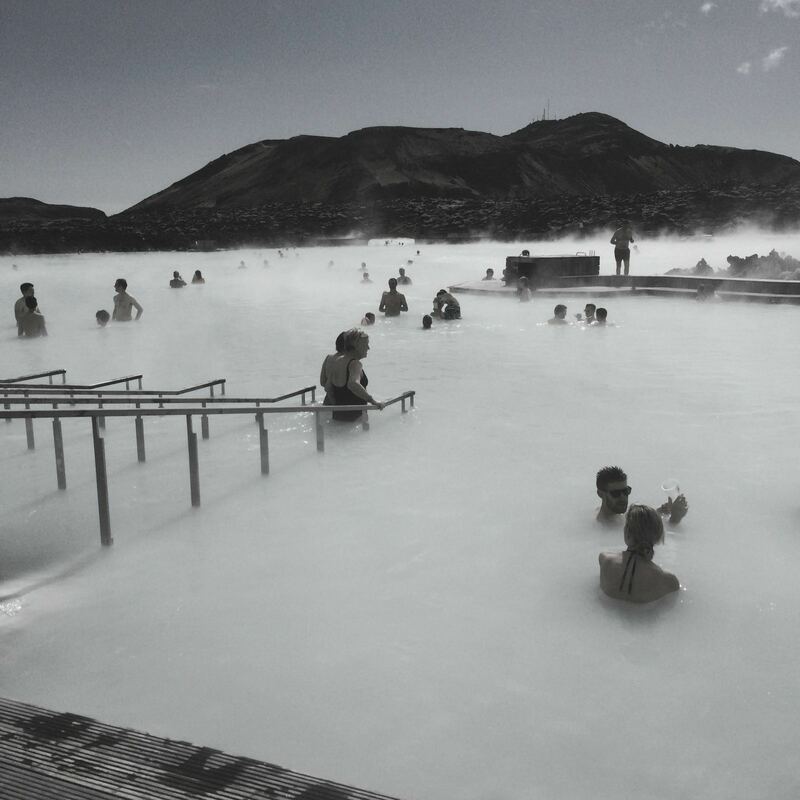 A day pass to this natural wonder costs €66 per person (price correct as at May 2016) and I’d recommend getting there as early as possible to avoid the crowds; serenity being an absolute Godsend in the Blue Lagoon. “I can’t get my locker open,” questioned a dreadlocked guy to the Scottish security guard as I went to hand my towel back. “I don’t bloody believe you,” he sarcastically barked back before resolving the guy’s issue in two seconds flat. It’s always nice to get a little taste of home whilst on the road isn’t it? Especially in the most unusual of places.